With these myths debunked, you may have the tools to give your best presentation yet. Rowena Crosbie, an Entrepreneurs’ Organization (EO) member from Iowa, is president of Tero International, Inc., a premier interpersonal skills research and corporate training company. We asked for her thoughts on presentations and how you can perfect your next one. For thousands of men and women, speaking in front of a group is an experience that is feared. More than a fear of heights, spiders or even dying, if you can believe it! The statistics indeed support Jerry Seinfeld’s humorous claim that most people at a funeral would rather be the corpse than the person delivering the eulogy. But, it is the ability to communicate effectively with individuals and groups that is cited as the primary factor contributing to the success of the highest-paid managers. So it’s definitely a fear worth overcoming and a skill worth nurturing. 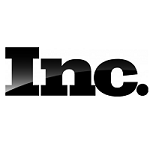 View the full article on Inc.com, a partner of the Entrepreneurs’ Organization.